In the research project “Research on Modern Art in Terms of the History of Cultural Interaction” of the Department of Art Research, Archives and Information Systems, one aim is to conduct investigative research on cultural interactions, focusing on the East Asia region including Japan. As part of that work, an optical investigation was carried out on October 16 for two oil paintings by KISHIDA Ryusei held by the National Museum of Modern Art, Tokyo: “Portrait of KOYA Yoshio (Man Holding a Plant)” (1916), and “An Apple Exists on Top of a Pot” (1916). This investigation was carried in out only for works from the period when KISHIDA Ryusei was strongly influenced by European classic painters such as Albrecht Durer. Its purpose was to verify not only the design, but also the details of the picture surface such as technique and expression. The smooth surface seen in classic European art was obtained by layering, using techniques such as tempera and oil painting, but KISHIDA Ryusei originally picked up these techniques from reproduction plates, and thus it is important to observe works from that time to determine whether he understood the techniques, and to further explicate the history of reception. The photography went beyond just shining uniform light onto the picture surface to enable visualization of the brush strokes of the painter and the current status of surface. 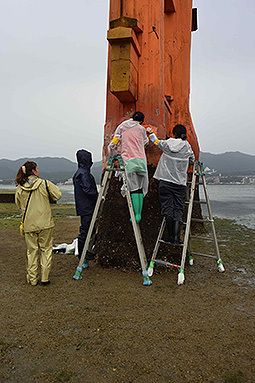 Light was also projected at an acute angle from the left side of the work to enable understanding of the unevenness of the surface due to oil painting (photographer: SHIRONO Seiji, Artificer, Department of Art Research, Archives and Information Systems). Reflected near-infrared photography was also carried out at the same time. From the images obtained through this photography, it was possible to confirm that there were no traces of repainting, fumbling or other difficulties, and that the image of the painting was quite settled by the time the painting was executed. 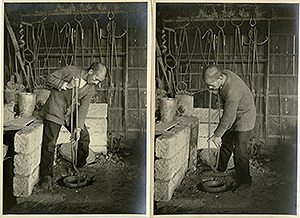 Photos for production of Kane no Ne (“Sound of a Bell,” 1924) by SHINKAI Taketaro From the recently donated documents relating to SHINKAI Taketaro. In order to produce Kane no Ne, Taketaro asked ABE Insai, who he always relied on to cast his own work, to pose as a model. The photographs of the model, taken from various angles, have survived. SHINKAI Taketaro (1868–1927) learned sculpture in Europe, and produced many notable works such as Yuami (“Bathing,” 1907, an important cultural property). 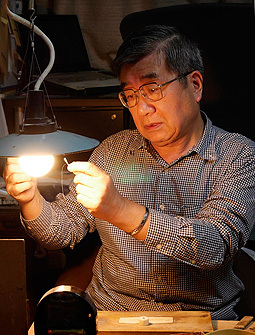 He is known for making a major contribution to the modernization of Japanese sculpture. As noted in our activity report for November of last year, SHINKAI Takashi, grandson of Taketaro, has donated to our institute a set of glass dry plates primarily featuring Taketaro’s works. Recently he also donated a set of documents relating to Taketaro, including his notebooks, and photos/documents relating to his sculpture production. These documents are mentioned in the book SHINKAI Taketaro (Tohoku Shuppan Kikaku, 2002, in Japanese) written by TANAKA Shuji (Associate Professor in the Faculty of Education and Welfare Science, Oita University), who arranged these donations, and they are known to be important documents for elucidating the productive activities of Taketaro. 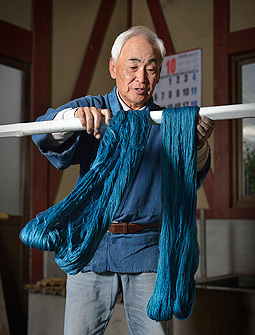 Taking the recent donation as an opportunity, we plan to ask TANAKA to describe these materials in The Bijutsu Kenkyu, our institute’s journal of art studies. The documents also contain the notebooks of HIRAKO Takurei (1877–1911), a scholar of Buddhist art from the Meiji period who was close to Taketaro, and in the future we hope to examine these materials not only from the perspective of the history of modern Japanese sculpture, but also the history of Buddhist art. 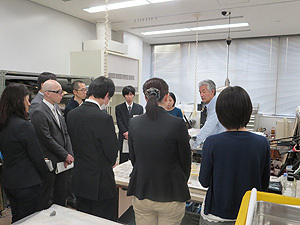 The glass dry plates donated last year have been digitized, and we have begun releasing them as a database on the institute’s home page (http://www.tobunken.go.jp/materials/sinkai). This site was produced by OYAMADA Tomohiro, Research Assistant, Department of Art Research, Archives and Information Systems. It showcases digital images of 182 glass dry plate photographs of the works of Taketaro, and paintings in the Nanga style by the father and son artists HOSOYA Fuo and Beizan under whom Taketaro studied in his home region of Yamagata. The database can be searched with text strings such as the names of specific pieces. It contains images of representative works of Taketaro as well works which are no longer extant. We hope you will make use of this resource. 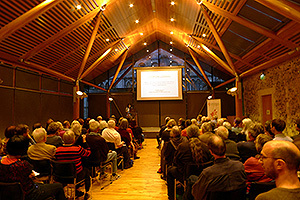 The Sainsbury Institute for the Study of Japanese Arts and Cultures (SISJAC) is located in the small town of Norwich in Norfolk County, about 2 hours by car north of London. 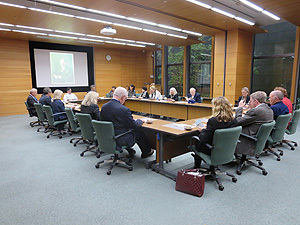 Founded by the Sainsburies in 1999, the SISJAC is readily familiar to specialists in Japanese art history and archeology as a site for research into Japanese arts and culture. 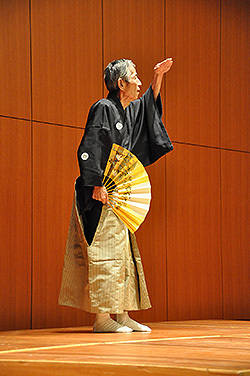 In July 2013, the SISJAC and the National Research Institute for Cultural Properties, Tokyo (NRICPT) initiated a Project to Establish a Platform for Research into Japanese Arts. This Project gathers information in English on Japanese art exhibitions in the US and Europe and books and sources on Japanese art. The NRICPT previously made its Database of Literature on Cultural Properties, a collection of information related to Japanese art, publicly accessible. However, this information is solely from Japan. 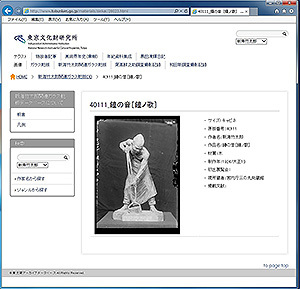 In the future, information gathered by the SISJAC will be included in the NRICPT’s database, and a system will be created to allow the NRICPT’s database to be searched for information on Japanese art in Japan and overseas. To promote this Project, SARAI Mai of the Department of Art Research, Archives, and Information Systems spent 10 days at the SISJAC from October 9 (Thurs.) to October 20 (Mon. ), 2014. Ms. SARAI and staff members of the SISJAC verified information that had already been collected and they verified procedures for work to make that information publicly available. During her stay, Ms. SARAI delivered a lecture on “Buddhist Wooden Sculptures in the Early Heian Period: From a Standpoint of Syncretisation of Shinto with Buddhism.” The lecture took place on October 16 (Thurs.) as one of the lectures that SISJAC hosts on the third Thursday of every month. 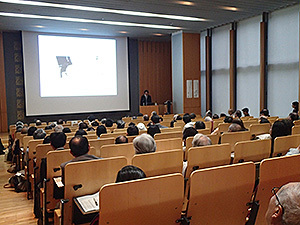 Close to 80 citizens of Norwich listened to the lecture on Buddhist wooden sculptures during the Early Heian Period in a lecture hall in a cathedral near the SISJAC. 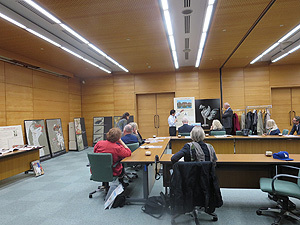 After the lecture, members of the audience asked a number of questions, demonstrating a heightened interest in Japanese art. 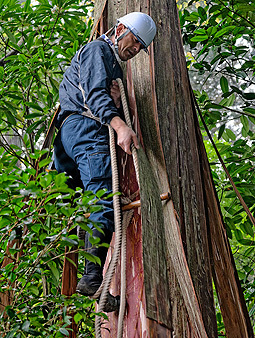 The Center for Conservation Science and Restoration Techniques conducts investigative research on restoration materials for cultural properties. Various types of restoration materials are needed in a diverse range of fields such as architecture, and fine and applied arts. At Itsukushima Shrine, the center is involved in continuing investigative research on restoration materials for the large “Torii.” Itsukushima Shrine is located on the sea, in a severe temperature and humidity environment, directly exposed to wind and rain, and the effects of salts must also be taken into consideration. For such reasons, there are stringent conditions on the selection of restoration materials. Working time is also limited due to factors such as rise and fall of the tide. In selecting restoration materials, two types of testing are done in parallel: accelerated deterioration testing under various conditions in the laboratory, and exposure testing at the actual site. Specifications of filling material were finalized through research studies up to the last fiscal year, and surface finishing materials are currently being studied. 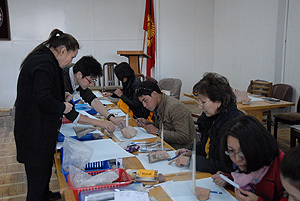 Based on the results achieved to date, test application of a selected material was carried out on October 22 and 23. Going forward, the center plans to make follow-up observations, and continue investigations to enable proper selection of materials.